Louise Bourgeois passed away today. She was 98. Bourgeois was a master at capturing the unsettling and awkward and transforming it into a narrative experience. She was an incredible influence on my own work, as well as many others. Before I had decided to leave for New York to become an artist, I watched a film called, Art City - Making It in Manhattan. It included several interviews, including one with her and it aided in sparking a fire in my eyes... that it was possible to follow my dreams. I was fortunate enough to visit her studio back in 2002. She was very patient and welcoming to the young artists exploring the wonderland of her workspace. It is an experience I'll never forget. Her work will live on in my heart and dreams forever. Tacked to the wall in my studio is a quote that she gave in an interview that I think is very powerful. 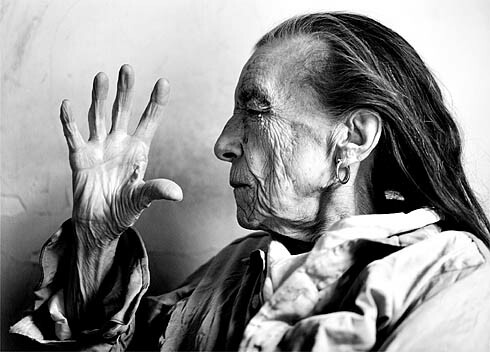 Louise Bourgeois said, "Don't let anything come between you and your work." Looking to make some super-sized jewelry just perfect for a princess? Lisa uses large blueberry briolettes and a Swarovski mix to create just that! Tammy ask in this quick poll about how you use social networking to promote you and/or your jewelry business. ABS is here to help you with your business. Check out Zazzle to customize your earring cards for your jewelry business. 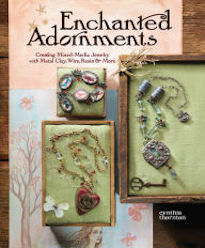 Barbe posts her book review on, Wrap, Stitch, Fold and Rivet. How many people out there are participating in the Bead Journal Project this year? This week's Wednesday Wire is a free tutorial, "Matchin' by Wrappin'." Learn about the Raku firing process and see the results of Melanie's new Raku adventures! Heather shares some time management tips for creatives. Like Czech glass? Andrew hosts a giveaway courtesy of Raven's Journey. Find out how you can win these luminous beads! Happy Memorial Day Weekend! (And happy unofficial beginning of summer!) I hope we can all take a moment to remember those who have fallen in service of this country. Paulo and Babette say, "Enjoy 15% off everything in Papa's shop when you use coupon code, "memorial"! The code is valid throughout the holiday weekend. Some days are quiet days. This week, one lucky winner will win five Czech glass "shortie" strands courtesy of Raven's Journey! The strands include a nice range of sizes, shapes and colors. Speaking of color, I absolutely adore the rich, vibrant saturation. The beads are so luscious! The picture doesn't do them justice! Raven's Journey makes some of the best Czech glass; they always have a unique selection that I haven't seen anywhere else! To enter to win these brilliant Czech glass beads, all you have to do is leave a comment on this blog post. One winner will be randomly selected from the comment section of this blog post on Monday (May 31st) at midnight EST. Make sure to leave your name if it doesn't already appear next to your comment. Bonus Points: Earn an extra entry by blogging, updating your Facebook page, and/or Tweeting about this Thursday Giveaway! Don't forget to add a separate comment with the link to your act of social media kindness for your additional chance to win! The flowers we potted for the deck are becoming more established. I thought I'd share some pictures of them. The deck is fast becoming a sanctuary for me. I work out there as much as I can, finding comfort in the sweet smell of flowers and the sound of chirping birds. Often times I become distracted by the beauty of the blooms and end up spending too much time sketching and drawing them. Perhaps one of these days I'll scan the drawings and quick watercolor studies in and share them here as well. Above are an assortment of daisies, lobelia, peonies, salvia, impatiens, and twinspur. I rarely ever get a chance to make jewelry for myself. It's funny when you think about just how much jewelry I actually produce. I have mountains of projects... but none of them are for me. I decided to carve out some time to make something just for me. I wanted something simple, but reminiscent of something a shaman would wear, laden with talismans and good luck charms. I'll admit that the necklace is not complete yet. I intend to add many more of my favorite beads later on. The base of the necklace is made up of different kinds of chain interspersed with blue-black faceted spinels. I've added recycled glass beads from Browen Heilman, a sterling silver barrel bead by Anne Choi that reads, "Nothing can bring you peace but yourself", a drilled stone from the Great Lakes from Riverstone Bead Company, a labradorite dichroic glass bead capped with some PMC caps I made, and a PMC embellished piece of beach glass from Kathy Van Kleek. I feel as though I'm carrying little bits of friendship around my neck and am protected by the love that went into each of these components. The cool thing about this necklace is that the way that everything is spaced and weighted, I can adjust it so that the focal can change and there are multiple ways of wearing it depending on my mood. The fine folks at Kabela Design have discovered a cache of genuine vintage filigree pieces from the 1930's. Many of the designs have long been out of production and are only available in limited supply. I'm drawn to their sculptural qualities and how magical they look. CLICK HERE to visit their "Truly Old Treasures". 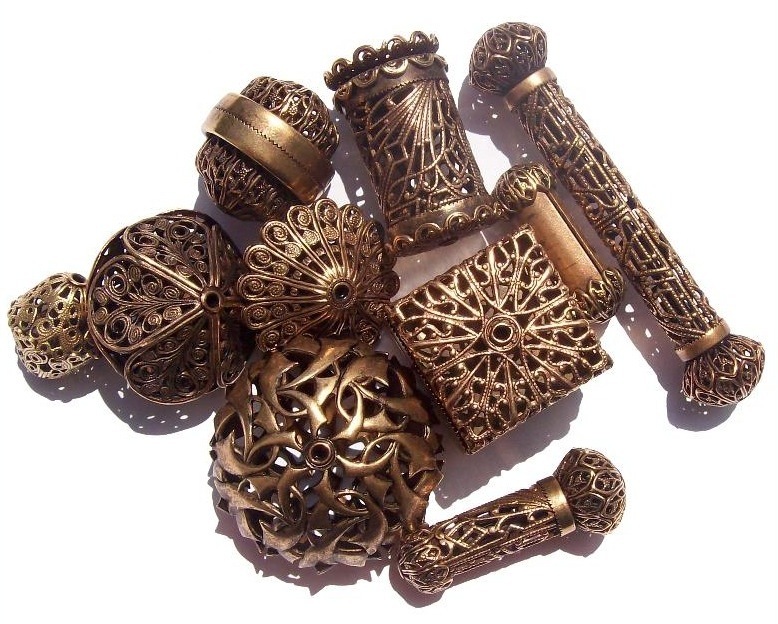 The components could be modified into pomanders with your favorite fragrance and wouldn't they look beautiful dangling from a long chain interspersed with Swarovski crystals? I've been trying (unsuccessfully) to stick to my budget and not buy anything that I don't absolutely need. It's a hard road for a retail-therapy addict such as myself! 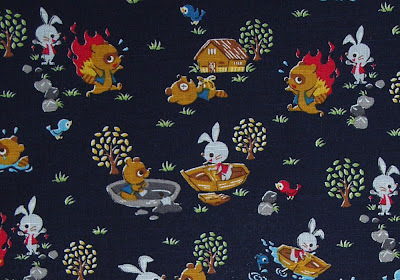 However, I could not pass up this Japanese Kachi-Kachi Yama fabric I found on Etsy. It's so delightfully bizarre and cute that I had to have it! 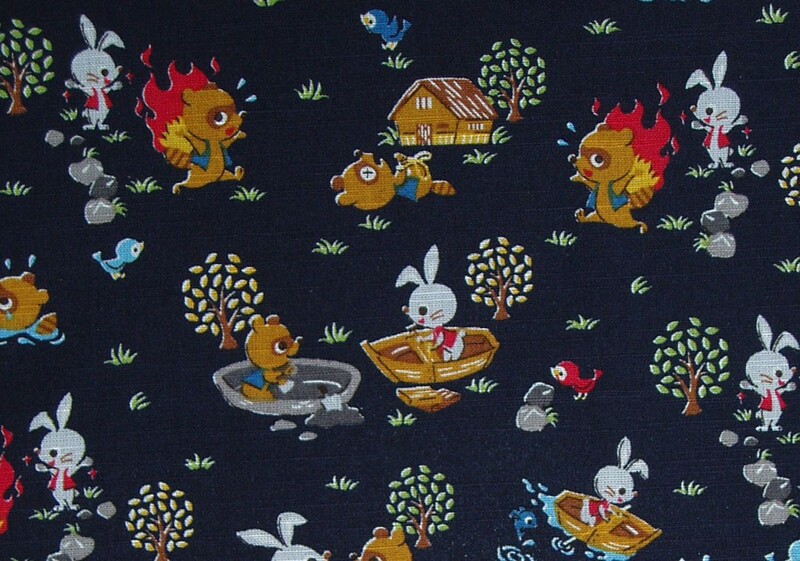 It depicts a traditional Japanese folk-tale about revenge and retribution. I found it in the I Will Fly destash. The shop has a really unique selection of printed and hand-dyed fabrics, trims and appliques. CLICK HERE to visit the shop. 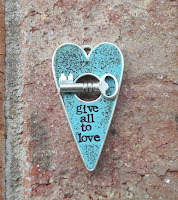 The very talented and super sweet artist, Heather Wynn-Millican just released a brand-new line of polymer clay inlaid silver toggles. 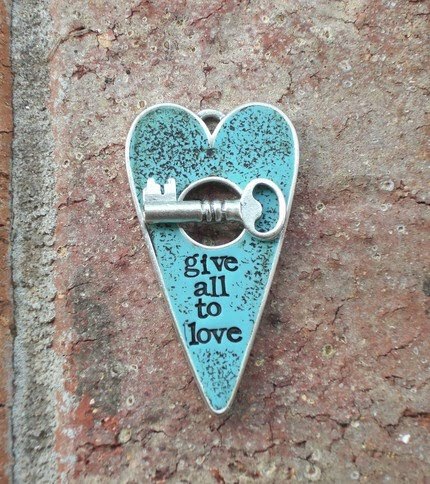 These pieces ring with heartfelt sentiment and would make awesome focal pieces strung in the front. Several shapes, colors and quotes are available in her Etsy shop. CLICK HERE to check out the selection. The winner for this past week's Thursday Giveaway is Melissa Meman. Please email me with your contact information and I'll put your prize in the post. Be on the look out on Thursday for another chance to win! Probably the biggest piece of news is that I'm participating in the Bead Star competition. I've got six pieces up in the finalist round in the plastics, pearls, metals, designs with heart, under $25, and crystals categories. If you get a chance please swing by and vote! There are lots of really beautiful designs to choose from. So I know that voting will be difficult. I will say that I'm particularly proud of all of my pieces and hope you like them too! Voting ends June 9th, so be sure to vote before then to make your vote count! In other news, plans for some super secret ventures are firming up and I should be able to talk about it all in a few months. I'm really excited about it. Getting the funds together to make things happen (on the scale that I'm envisioning) is problematic, but I'm confident that things will come together. So, cross your fingers! For the past few months I've been in serious conversation about creating a craft book. After working on my sister's book, I've decided that it has to be a topic that I'm really passionate about and is something that people are interested in. 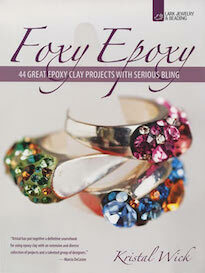 If you were to see a craft book by me, what would you like to see? What topics are out there that you're dying to see more of? I don't want to create a forgettable book that's redundant. The other day I got the nicest email from one of the customers at a show I did several months ago. The encounter was memorable. The show wasn't that busy and we spent a lot of time talking about different techniques that she could incorporate into her work and the following day she brought a project that she was having trouble with and we worked out the kinks. The customer asked if I was considering ever teaching a "real" class. I've been reluctant to teach in the past, even though I love working with people and creative problem-solving. There are so many really great teachers out there already also. So... would you take a class from me? What kind of class would you be interested in taking? Do you like classes that are more technique based, project oriented, or idea workshops? Do you like classes that are short and sweet? Or longer ones? Perhaps a retreat? A couple of the bead personalities have been talking about having a bead retreat, leaf-looking and wine-tasting extravaganza in the autumn in upstate New York... is this something you'd be interested in attending? If you went, would you want to take classes? Have work time? Or just have fun? 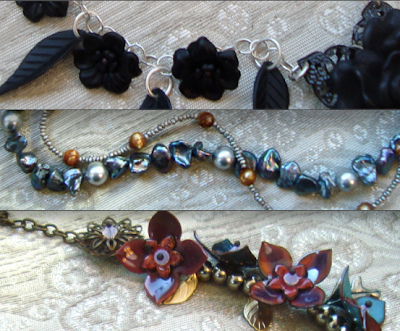 The last thing that I've been working on and planning is a finished line of jewelry. I don't really sell my finished work and when I do, it's usually custom pieces that can get pretty pricey. The line I'm working on would be simpler in design and much more affordable. Would this be something that you'd be interested in buying or seeing? I know it's a lot to ponder. I've been wracking my brain a lot and working over-time to really flesh out some of these ideas. As you can imagine, it's been a busy time around here. Lisa explains her thoughts behind part 1 of a new bracelet project. Tammy recently took a trip to the Bahamas and discovered some souvenir pennies in her purse. They were so bright and shiny they had to be turned into jewelry. It's the fifth month anniversary of the ABS Carnival Blog! Come see how we've grown! 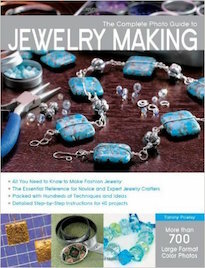 Take a jewelry class with me at CREATE! The new Rubber Glass silicone has inspired Cyndi to create some beginner projects! 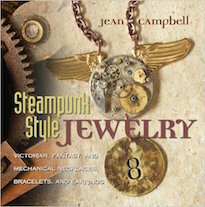 In an effort to use all that she buys, Carmi repairs and recycles vintage metal from Paris. Cindy's starting a new feature on her blog - The Wednesday Wire! Come take a look! A gift from a local potter starts Melanie on a new clay adventure: Raku! 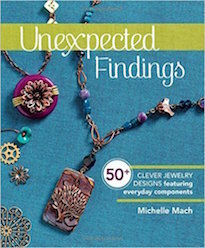 Heather explores 23 days of inspiration as she gets ready for the Bead & Button Show. See how Van Gogh has inspired her through the years. Jean's just full of travelogues, isn't she? This time she went to a Kansas bead retreat. Voting has now opened in the Bead Star competition, come check out my 5 entries! Vote for your Bead Star Favorites! The best wedding I never went to! My editor's incredibly romantic wedding -- Australian Beading Magazine. 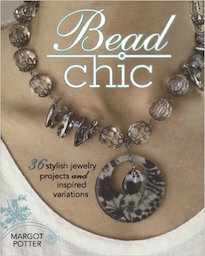 Like several of her esteemed colleagues, Melissa has a few pieces in the Bead Star competition to show off this week! Andrew has six finalists pieces in the Bead Star competition. Please take a moment to vote! I was talking with a friend about our blogs the other day. We were both weighing out the pros and cons of maintaining them and just pondering about our internet presences in general. She asked, "What do you want your readers to take away from reading your posts?" I think for me, one of the main things is that I'm human. I'm not some infallible creative machine who leads a perfect life served up on a silver platter. The things I have and are most proud of are a result of hard work, preparation, opportunity and some good old fashioned good luck. I make mistakes all the time and am far from perfect. I also want readers to have a glimpse of what piques my curiosity and sparks my creativity. If you haven't noticed, there's no singular theme to my posts. I guess that's my indirect way of saying that inspiration is everywhere. Even the smallest of things could provide a catalyst. Although there are muses hidden in every single facet of our lives, it takes persistent hard work and constant flexing of your creative muscles to discover and utilize them all. Sure, there are rare cases of flashes of inspiration, but I've found that most of my best ideas are from engaging in a project, problem-solving and really digging in. I find that the best answers are always right there before us, waiting to reveal the secrets we're looking for – we just have to be willing to put the work into seeing them. Babette says, "Papa's got six designs in the Bead Star competition. Vote for my Papa!" 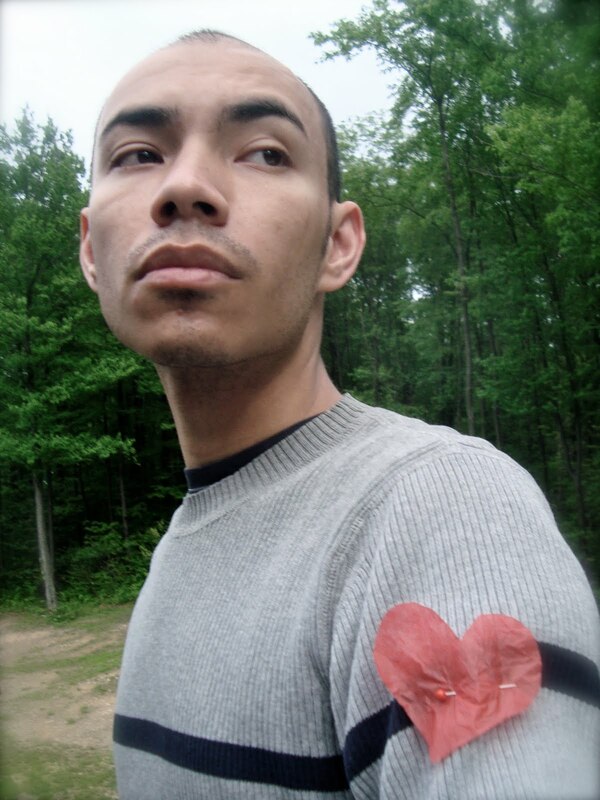 I wear my heart on my sleeve. It hasn't always been this way. For years I tried my hardest to be analytical. In other incarnations, this served its purpose well. When you're writing news stories or making decisions about budgets of non-profit organizations, it's best to be driven by the facts and leave the emotions out. But as an artist... I found that this gave my work a hard edge that I didn't particularly like. At one point, when I looked at my work, it felt like I was looking at a textbook. The surprise and spark just weren't there. It was too much "head" and not enough "heart". So began a journey full of ups and downs. When I started down this path, I didn't realize it. So many things were changing and it was all very scary. I was searching for myself and for my true voice. The process was a long one, filled with many blessings and losses. To my life, I added a niece and nephew, but I also lost my grandparents and several close friends. New friendships were forged and others dissolved. I added a special someone, who grounds me and balances out my everything. Family ties were strengthened and extended. Through all this, I learned to love. I left the City behind. I embraced the country. I added two kittens. I am creating home. 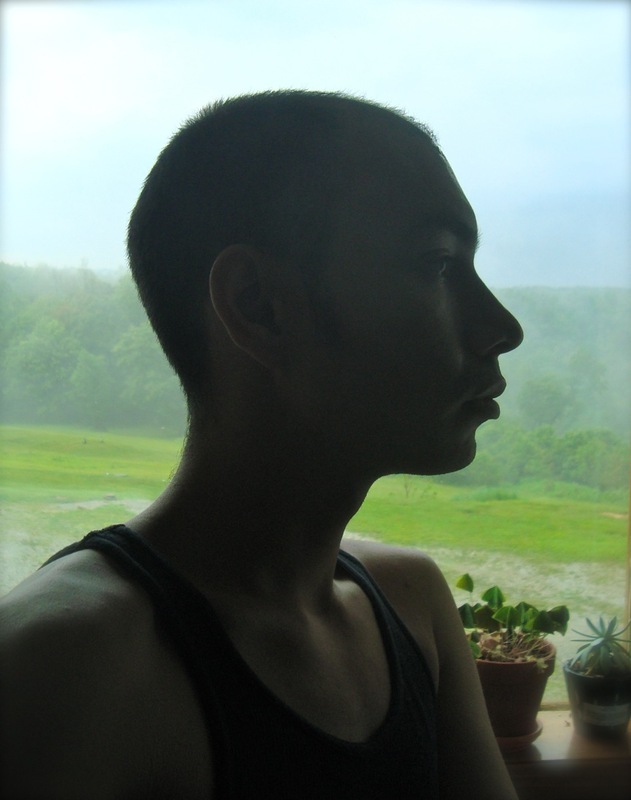 I finally feel in touch with who I am and who I'm supposed to be. I didn't know I would be someone who would wear their heart on their sleeve... but I am. I realize that the last post was a little deep and a little blue. Really... it's not all downers and doom and gloom. Take a look at Paulo sleeping. 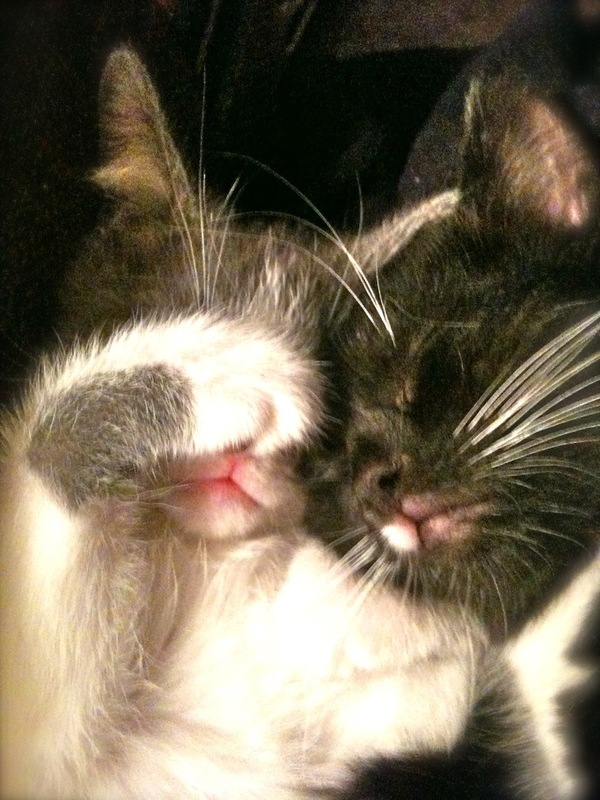 Cute kittens = happiness. Paulo also says, "Vote for Papa in the Bead Star competition!" Today has been a mixed bag of emotions. The best way to describe it, is that I was awestruck. On one hand, I was really moved by the beauty and the hard work shown in the finalists of the Bead Star competition. There are some really stellar submissions. Of course, I am very proud of my own work and would like to win, but I would easily understand it if others were to make it ahead of mine. 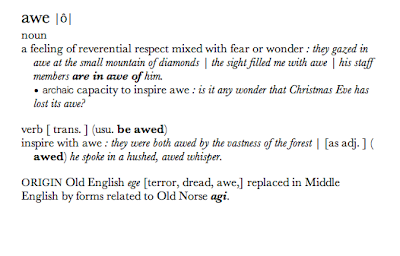 But awestruck has another meaning. 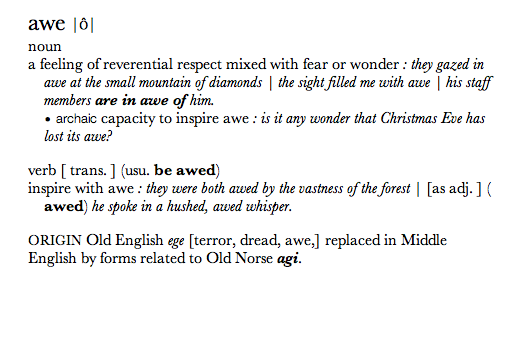 Awe is a very human emotion and its origins stem in part from "dread" and "terror". I was recently alerted to some online forums discussing the competition. Some of the participants of the conversation called me "shady" and "unfair". I won't go into the details of it, because it makes my stomach churn. Needless to say, I was very disappointed that people would have such a low opinion of me. I work really hard at what I do. I don't have any special advantages or upper-hands. Truth be told, I lose more often than I win. I spend meticulous hours on projects that never were selected. Even when I lose, I try to be happy for those who did do well. We are apart of a vibrant creative community and we should be happy for our peers when they do well. For me, creating is an expression of joy... of finding beauty and shaping it with my hands. Talking trash about people taints that experience and is foreign to my concept of creating a creative community. I guess that's why I was so stung by the nastiness shown towards me and my hard work. It goes against the very grain of finding bliss in the act of making. So, today was a mixed bag. I was awestruck. Some good. Some bad. I'm bruised around the edges, but I guess that's what happens when you open yourself up to the world. It's that time of the week again! Another Thursday Giveaway! This week, one lucky winner will claim the prize of an assortment of nature-inspired lucite goodness courtesy of The Hole Bead Shop. 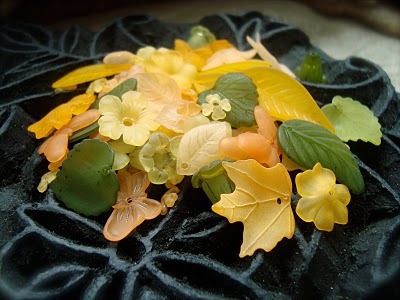 I love the melody of colors; how the honey, cantaloupe, melon and amber are paired with the jade, peridot and spring green. The mix is luscious and perfect for summer. In fact, I think lucite is a perfect material for summertime jewelry – it's lightweight, colorful, and the fun shapes are so whimsical! To enter to win these lucite lovelies, all you have to do is a leave a comment on this blog post. One winner will be randomly selected from the comment section of this blog post on Monday (May 24th) at midnight EST. Make sure not to forget to leave your name if it doesn't already appear next to your comment. The voting for the Bead Star competition is now up! Please take a moment to vote! I would be most appreciative if you like my designs and vote for me! Just go on over to the site, click on "Vote Now" and select your favorite choices. Remember that your votes don't count unless you complete the entire form. And Designs with Heart, Under $25, and Crystals. My many thanks in advance for your support and for believing in me and my work! Friend and fellow artist, Jeremiah Ketner is hosting an auction to help benefit The Nettelhorst Elementary School in Chicago. Apparently Illinois' education budget was drastically cut and they are now planning to reduce full-day kindergarten into half-days. Bid on one of these beautiful paintings to help raise money for a good cause AND get ahold of a work of art! CLICK HERE to go to the auction page. Also check out the three shows across the country that Jeremiah is participating in: "Movers & Shakers II" at Ronin Gallery in Los Angeles, CA, "While You Were Dreaming" at Rivet Gallery in Columbus, OH, and "Painted Ladies" at OHNO!DOOM in Chicago, IL. 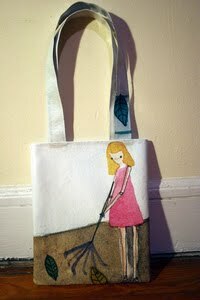 Don't forget that every Wednesday at 7PM, artist Amy Wilson releases ten more limited edition tote bags in her shop. The cool thing about these tote bags (besides being absolutely lovely) is that they were created out of a public art piece that surrounded a construction site in New York City. Not only is this a fun way to get a piece of art, but it also helps directly support the artist. CLICK HERE to visit her shop and check out the selection! I just got a little note saying that the voting won't go live for the Bead Star competition until after 5PM Mountain time. Thanks for bearing with the delay patiently. I've received quite a few emails curious about where and how to vote. Firstly, THANK YOU for your support! Secondly, all the answers about the logistics of the voting process will be revealed once the voting goes live. When the voting does become active, please take a moment to consider voting for my pieces in six categories. Thanks a million! 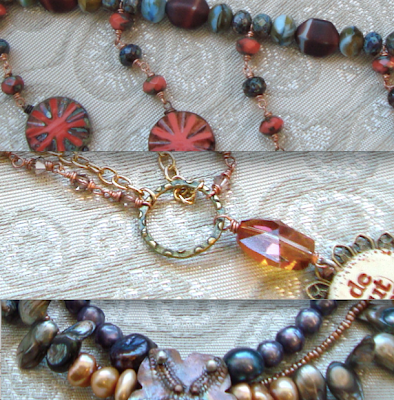 I recently found out that six of my designs are up for voting in the Bead Star competition. Voting is supposed to start tomorrow and run until June 9th. If you like my designs, please vote for them! It really would mean the world to me! As some of you may know, I had an issue earlier this year with someone stealing my designs off of my blog for publication. This unfortunately caused irreparable damages. I won't even go into all of the problems that this caused. I will say that I felt violated and as if someone had burglarized my home. After that incident, I rarely posted full images of my finished work. It was hard for me to trust again. This is the first time I've shared so much of my work in a long time. It feels awkward and exposing. It does feel good to share again though. By voting for my pieces, you'll be helping me gather my confidence again. By voting for my pieces, you'll be voting for me. Please help show your support by casting votes in my direction. I thank you in advance for your help! The winner for this past week's Thursday Giveaway is Courtney of "Beads By Breul". Please email me with your contact information and I'll put your prize in the post. Be on the look out on Thursday for another chance to win! Above is a shot of the porch. Unfortunately not all of it could fit in the picture. Off to the side are some hanging baskets and more planter arrangements. We've been working on transforming it into an oasis for us (and the birds) to enjoy this summer. 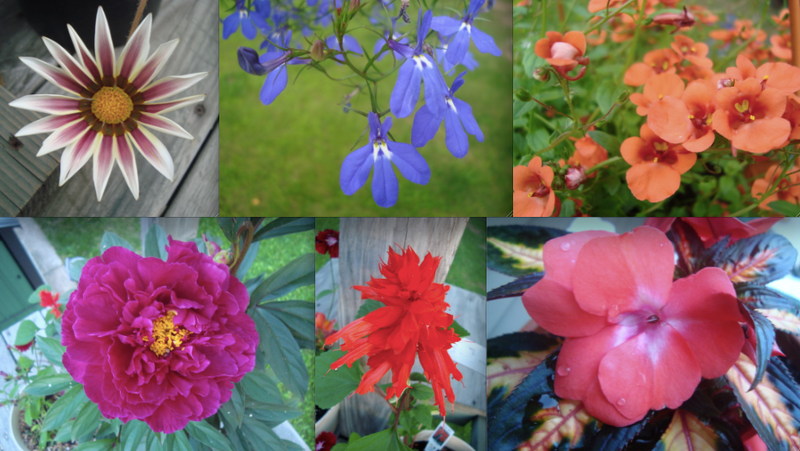 Here are some close-ups of the flowers. Many of the plants are still budding and promise many more blooms. These are just the first flush. I'm excited for when all of the plants are more established and are at the height of their flowering. Above is a close-up of the fuchsia blossoms in one of the hanging baskets. I love the ornate flowers and how they look like little fashionable ladies in over-sized party dresses. Above is a picture of the herb garden we planted. In the plot are sage, basil, oregano, mint, lavender, parsley, chives, thyme, rosemary, calendula, and a few others that currently elude my memory. When we first dug the bed, it was about half the size of the one picture above. After we set out some of the pots, we quickly realized that it was too small and ended up doubling the size. I'm excited to cook with all the fresh herbs. I think there's something truly magical about growing a garden and using the contents. Next weekend we tackle the vegetable garden, the hellebore patch, and a perennial circle. I also have a couple of toad lilies coming that will need potting as well. Creating jewelry for special vacations can help you look forward to upcoming trips and keep the memories fresh afterwards. 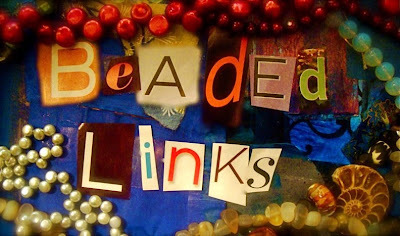 Art Bead Scene has a new look and some new opportunties to get involved. Come see! Rubber glass? Rubber glass?!? What the heck is rubber glass? Carmi uses some amazing digital images to create a new resin filled bezel necklace. 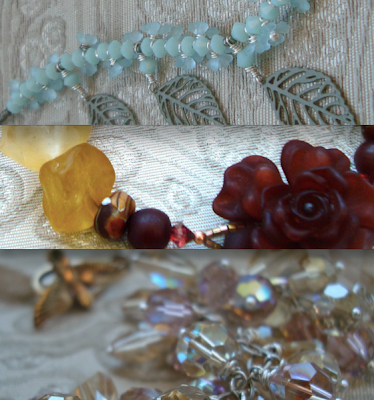 Check out the new beads on Cindy's site - Turquoise Sky! 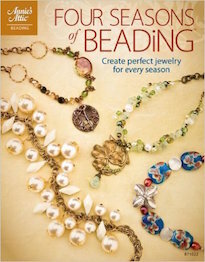 Melanie starts production for the Bead & Button Show and has studio pictures to prove it! Heather shares some sketches of possible designs. 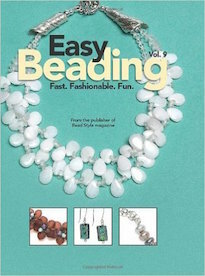 This week, Jean Campbell interviewed Katie for Beading Daily. Read some bonus Q&A on Katie's blog. Melissa shows off new designs using cool skull beads and charms from Rings & Things. Andrew hosts another Thursday Giveaway! This time, the prize comes courtesy of Natural Touch Beads! Find out how you can win some awesome resin jewelry components! One of the biggest things to happen recently is the introduction of the kittens into my life. For me, they symbolize setting down roots and the creation of my own home. It's hard to describe this happiness, this contentment. I guess it stems from years of watching other people buy houses, have children, have pets... do the things that grownups do. People were taking responsibility and I was this strange shadow blowing around in the wind. Sure, I was invited to share in these experiences of others, but never was it really mine. I was living vicariously, always an outsider playing at house. So, besides being cute, cuddly companions... Babette and Paulo are symbols of my own home, of being here. We installed a bird feeder out on the deck. When the winter hibernation ended and the bears took to roaming to fill their empty bellies, they made quick work of the feeder and ripped it from its mount. I've yet to install the feeder back, but have still continued to put seed out for the birds. The kittens and I have taken to watching the feeder mount and the visitors. Above is a shot of the big bluejays and a woodpecker. We sit there listening to the sounds of their conversation and the tap tap of the bluejays cracking sunflower seeds open. When the bluejays and woodpeckers are away, morning doves, titmice, finches, and sparrows come in afterwards. Sometimes there is so much activity that the chirps and cheeps and squawks become a cacophony of sound. I had to make a post office run. While I was out, I thought I'd check out a local waterfall called Buttermilk Falls. The Buttermilk Falls Natural Area is just down the road, not ten minutes away. I've been curious about it since I moved here. The main waterfall is about 50 feet high. It felt good to hike down to the bottom of the waterfall and feel small against the enormity of the crashing of the water. Foundations of old buildings, now long gone, and stone steps that lead no where peaked out from the moss and fern fronds. I collected perfectly smooth pebbles and pieces of red orange pigment from the stream. I feel lucky to be so close to a natural wonder. I can't wait to come again and again, experiencing this beautiful place in all seasons. I just wanted to thank everyone who has been patiently awaiting the new components. It's taking far longer than I had anticipated, but I am happy – so far – with the results. 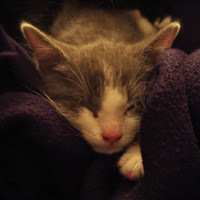 In the meantime, enjoy this photo of Paulo (one of my new kittens) AND 10% off everything in My Shop. Use coupon code "PATIENCE" to get the discount. Welcome to another installment of Thursday Giveaways! One lucky winner will win two light-weight strands of drilled resin beads and three loose resin components courtesy of Natural Touch Beads. The vibrant, candy-colors are perfect for spring! What I love best about these resin pieces is how easy it is to customize them and add that personal touch! They can be stamped, drilled, wrapped, riveted... the list goes on! To enter to win these lovely resin beads, all you have to do is leave a comment on this blog post. One winner will be randomly selected from the comment section of this blog post on Monday (May 17th) at midnight EST. Make sure not to forget to leave your name if it doesn't already appear next to your comment. Bonus Points: You can earn an extra entry by blogging, updating your Facebook page, and/or Tweeting about this Thursday Giveaway. Enter the link to your act of social media kindness in a separate comment for an additional chance to win. 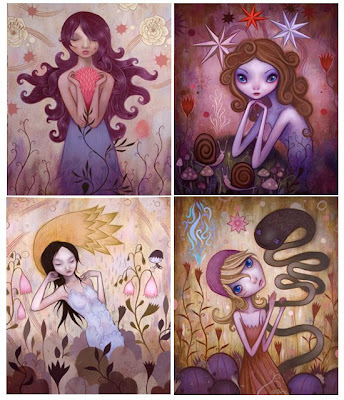 I adore the work of Amy Wilson. I love the drawings of her army of little girls and their stream-of-conscious dialogues on art, culture, and current events. Her work is thoughtful and smart. The bright colors and charming skeletal figures impart an inviting sweetness, which matched with the meat of her commentary, makes for interesting and engaging viewing. Recently Amy had a piece of public art done for the Downtown Alliance's Re:Construction program around the West Thames Park construction site. The large-scale installation was intended to go along with her current show, "It Takes Time To Turn A Space Around" at BravinLee programs. The show will be up until June 5th. If you're in New York City, this is definitely not to be missed! The construction finished up at West Thames Park and the installation was removed. Instead of allowing it to collect dust somewhere or trashing it or selling it to one single collector, Amy gave her piece a second life by transforming it into a series of limited edition tote bags. That's another thing that I admire about Amy: her work is not limited to a select elite of billionaires; Amy often times creates work that can be attained by the Everyman. You don't necessarily have to be rich to get a piece of her work. It's refreshing to know that a successful artist in the fine art world is not corrupted by greed and offers options to every level to enjoy her art. Amy is releasing ten tote bags a week at her store. 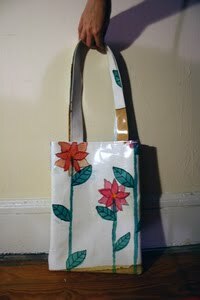 CLICK HERE to visit her shop and see what's available. I think they're brilliant! What a great way to get a piece of art and directly support an artist at work! I think my neighbors and the locals are getting used to the sight of my white Jeep pulled over on the side of the road. Usually the causes are benign and I can often times be found nearby taking pictures or roaming around in search of odd-shaped rocks and pebbles. They've exchanged their worried glances and inquiries of assistance for friendly waves and nods. Yesterday, on my way back from a dash to the post office, I came across a spot on the side of the road covered with a thick patch of the three-petaled trillium flowers. This is not as common as one would think. These spring flowers have an unusual way of spreading their seeds: they use ants. Attached to the trillium's seeds are special organs that are highly attractive to the ants. Once the ants carry away and devour their meal, they discard the seeds in their waste-piles. It's here in the ant's rich garbage that the trillium seeds germinate. Since the process of their germination and spreading is so slow and done symbiotically, and the fact that by picking a trillium flower, the entire plant is damaged (often times for years), it is illegal in some areas to pick them. So, it was particularly nice to come across this patch, covered with these unusual and beautiful flowers.